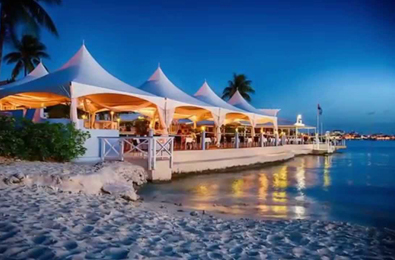 There are over two hundred restaurants in Grand Cayman alone, which translates to a tremendous variety of food to choose from -- the obvious Caribbean specialties to the sublime tastes of varied fine dining, fast food and unique experiences to enjoy. Everyone has their favourites -- and not every one can appear in a too-brief list of 10, but this can get you started. Do not be afraid to ask the advice of your hotel concierge or even the man-in-the-street. At some point, you must try the indigenous jerk chicken and/or pork. 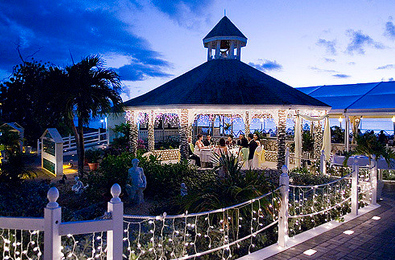 Bars and lounges in Cayman reflect a wide variety of tastes for relaxing and drinking. Whether you prefer flip-flops on the beach or dressing up for martinis and dancing, you'll find it in Cayman. By law, alcohol may not be served past midnight on Saturday. Breakfast is a vacation activity all by itself. Stop for coffee and pastries before or after an early morning walk on the beach. Or settle in for a full breakfast after a morning of diving. From casual to trendy, breakfast is the way to start your day in Cayman. Casual meal options are abundant in the Cayman Islands. 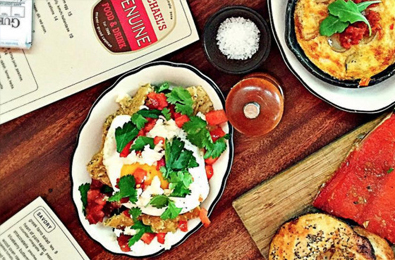 These restaurants welcome easy attire and are moderately priced for breakfast and lunch. Go from shopping or the beach to your next meal. 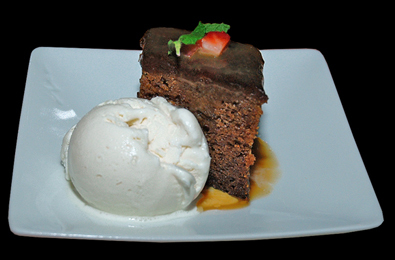 Some are also listed in the Fine Dining category for the elegance and pricing of their evening meals. Need your morning brew? Or just a quick stop for a small bite or refreshing drink? These coffee shops will rev your engine any time of day. Some include substantial breakfast and lunch choices. All have fresh-brewed coffee and espresso. Cayman has no shortage of fast food restaurants. Familiar chains - serving hamburgers, pizza, fried chicken, sandwiches, ice cream and donuts - are represented here. 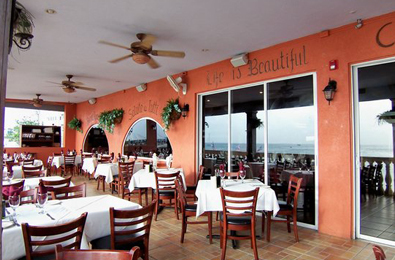 Located throughout Grand Cayman, they are a quick and easy stop for an affordable meal. Most offer indoor seating, while a few are strictly delivery. Cayman's fine dining scene ranges from 'smart casual' attire, such as polo shirt and chino's or skirt and top, to dressier evening wear. These restaurants may be more casual by day, but are more formal in the evening. Prices are on the higher end of the scale. Cayman's broad West Indian cuisine traditions blended with its friendly hospitality set beside an ocean-loving culture results in some dining experiences that can only be found in Cayman. From visiting Miss Gloria in her kitchen in George Town to roadside jerk and BBQ pits and dining on a replica pirate ship, Cayman's unique dining experiences will enhance your vacation. Don't miss the picture-window views of the waterfront Burger King in George Town - perhaps the most land-valuable BK in the world. An Italian piazza where the food delights and the atmosphere is warm and welcoming. George Town's waterfront Casanova Italian restaurant offers owner Tony Crescente as its main exhibit. Priding himself on the authentic taste of his enchanted homeland, Mr. Crescente is devoted to using family recipes handed down through generations. The Caribbean's only AAA Five Diamond restaurant, the Ritz-Carlton's Blue by Eric Ripert, Chef and Co-Owner of renowned New York restaurant Le Bernardin, is a culinary journey into the deep waters of the Caribbean, elevating seafood from a genre to a dazzling demonstration of a rich and imaginative culinary art. 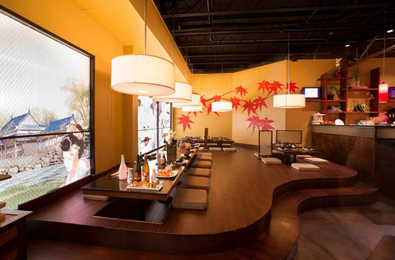 The sushi is sublime, reposing alongside the light, delicious Maki rolls. Do not miss the sesame sea scallops with a shitake mushroom sauce adorned with grilled peppers, leeks and scallops on a sizzling hot plate, this signature dish will set your palette alight. 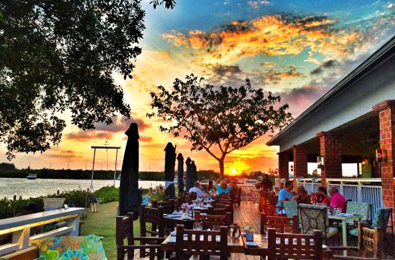 Long regarded as one of Cayman's best restaurants, The Wharf recently marked its 22nd anniversary. On the waterfront at the start of Seven Mile Beach, The Wharf affords panoramic ocean views with your first cocktail at Ports of Call seaside bar. Executive Chef Christian Reiter and his team prepare a vast array of irresistible daily specials in addition to the international à la carte menu while the 300-selection wine list has won the Wine Spectator Award every year since 2002. The legend of the Grand Old House has been kept alive for 104 years thanks to careful preservation and restoration efforts. , Cayman's premier fine-dining establishment for 30 years, Grand Old House exudes old-world warmth and elegance, and offers spectacular ocean-side dining on the veranda. Guests enjoy a variety of international dishes with Caribbean flair, prepared from the freshest ingredients. 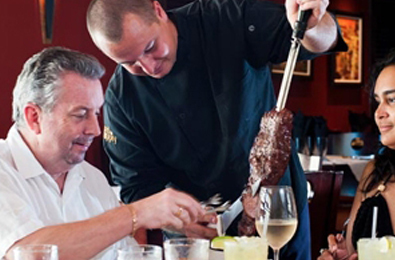 Prime offers an exciting dining experience from Brazil's Rio Grande de Sul region where South American cowboys prepare a wide variety of fresh meats on the open prairies. Prime mixes this authentic taste with a dash of Caribbean charm as gauchos carve meats at your table from immense Brazilian skewers. 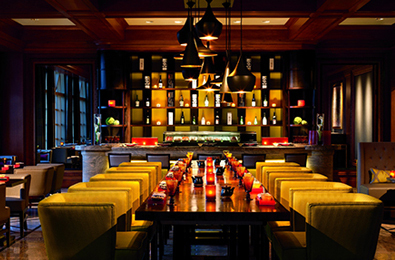 The centre-piece of the restaurant is an impressive appetizer buffet, created with Italian granite over two levels. A more modest approach, The Sunshine Grill is part of the Sunshine Suites accommodation complex and offers superbly prepared food in an inexpensive and casual setting, with a full bar and poolside dining. 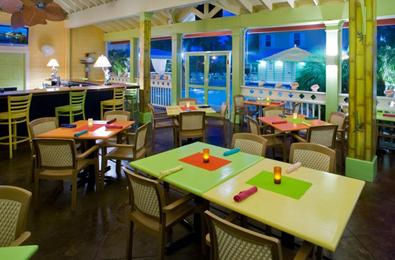 Sunshine Suites consistently serves “The Best Burger In Cayman”, and its fish tacos are fabulous. Chef Michael Schwartz, James Beard Foundation Award recipient, instantly replicated the success of his Miami restaurant with last year's opening in Camana Bay, his first overseas venture. Recognised in major culinary and travel publications and media outlets, the chef offers straightforward, locally driven, imaginatively prepared cuisine served in an unpretentious and welcoming setting. Dining at Hemingways by the Sea, overlooking Seven Mile Beach, offers delightful specialty nights and unique seafood creations. Beginning with a mango mojito, diners experience a romantic casual elegance evoking the atmosphere of old Cuba. Chef Vidyadhara Shetty's menu comprises beautifully simple cuisine accompanied by an extensive wine and cigar list. Saturday evenings feature live jazz; Sundays, a champagne brunch.